The supplement market is a billion-dollar industry that lures the best and worst businesses. 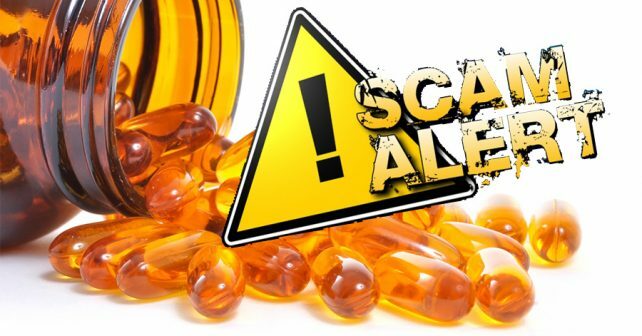 It’s no surprise that some supplement manufacturers would engage in scams just to get their merchandise off of their shelves. It seems that today, more and more manufacturers would rather engage in scams than to provide an effective product that consumers can enjoy. A few years back, there’s a web page seemingly created by Forbes.com, a known business website. The website, known as ForbesMemoryPlus dot com, shares how some billionaires were able to reach and sustain their success by simply taking a miracle supplement. Among the billionaires included in the article were Berkshire Hathaway’s Warren Buffet and Microsoft’s Bill Gates. The website also claims that the product on their website was published on known websites such as CNN Health, ABC News, and Men’s Health Magazine. As it turns out, the whole article was fabricated, and Forbes.com issued a statement that they are not affiliated with the said website whatsoever. AMP Citrate, also known as DMBA, a drug from the 1940s that irregularly raises blood pressure. DMBA is a popular ingredient in some sports and nutrition products. DMBA is found to have amphetamine-like effects, and it is believed by some to have an effect on metabolism and energy levels. The FDA banned the use of DMBA since 1992. Recently, the FDA has uncovered about 14 sports supplements that illegally contain DMBA and ordered the removal of DMBA products from the marketplace. Today, there are a number of supplements that offer money-back guarantee deals to entice more consumers to purchase their products. Unknown to some consumers, these companies only include money-back guarantees to make it appear that purchasing their products involve lesser risks compared to other products. However, when a dissatisfied consumer files for a refund, the manufacturers would let their customers run through hoops just to get their money back. For most of the consumers, talking on the phone for hours is not practical just to get a couple of dollars back. A few months back, there was a supplement released in the market named Viagra 007. Even though the name of the product obviously lacks in creativity, the manufacturers certainly didn’t lack talent in deception. However, it was discovered recently that the product contains the same active ingredient in Viagra, Sildenafil. Viagra is a prescription-only drug for men who are diagnosed with erectile dysfunction, and risks are carefully calculated before letting customers take the product due to its numerous side effects. When making a supplement purchase, make it a point that you do your research first. A quick Google search would give you all you need about the best male enhancement supplements in the market today. All you need to do is take the time to read and make your decision.